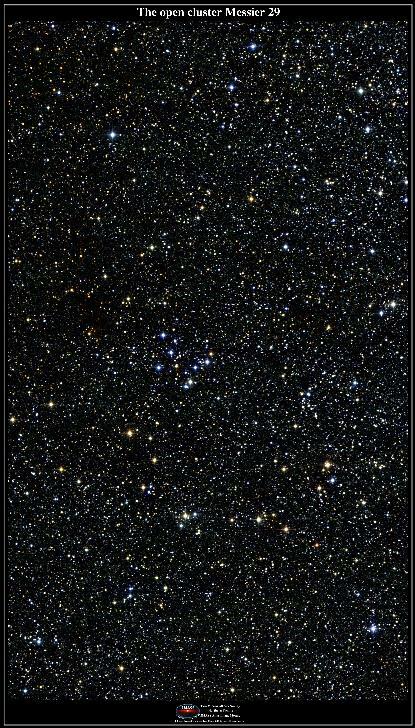 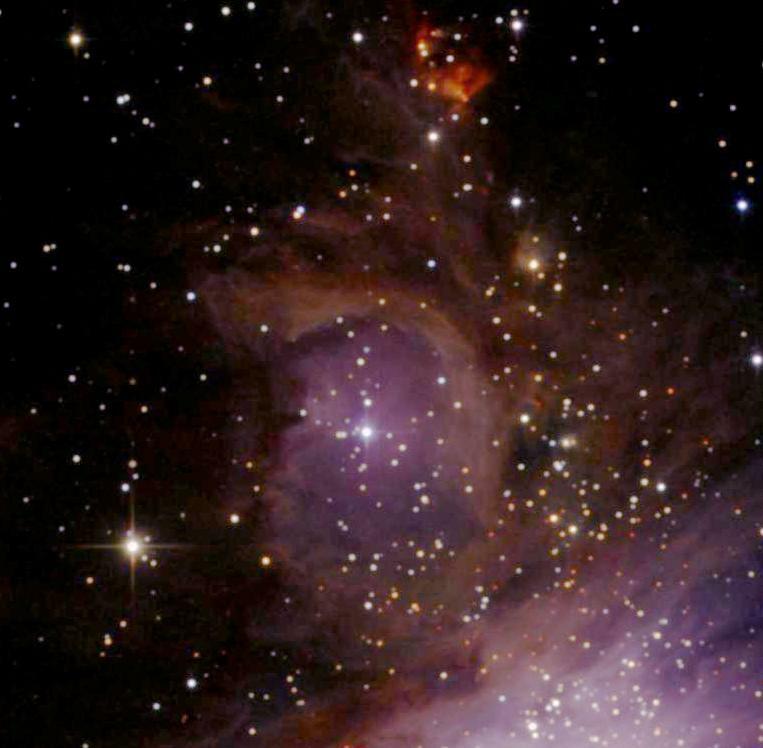 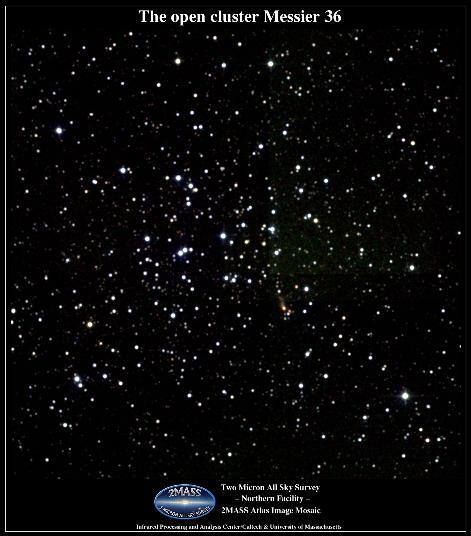 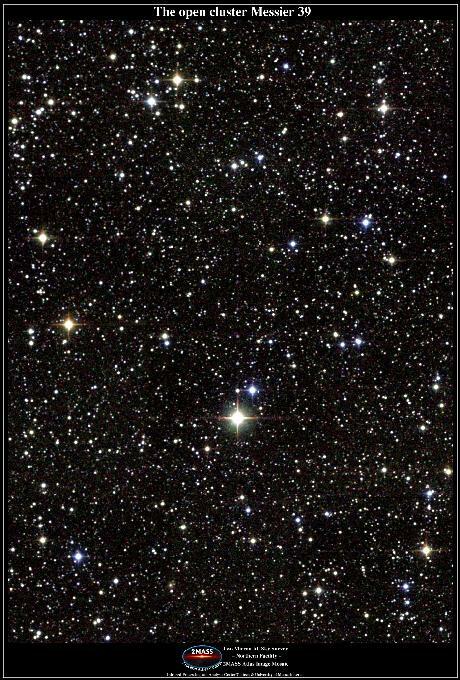 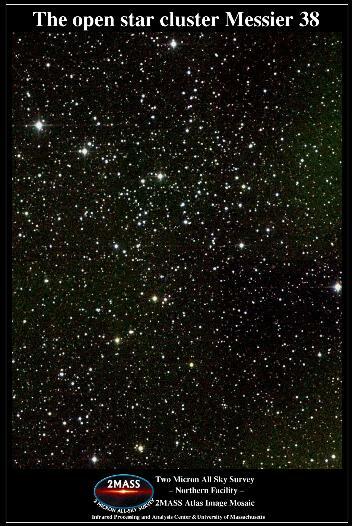 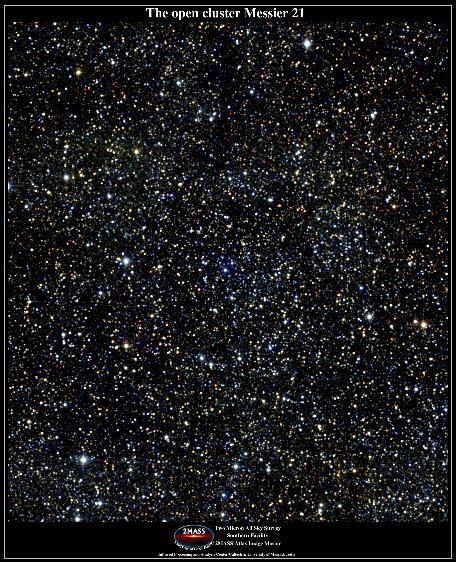 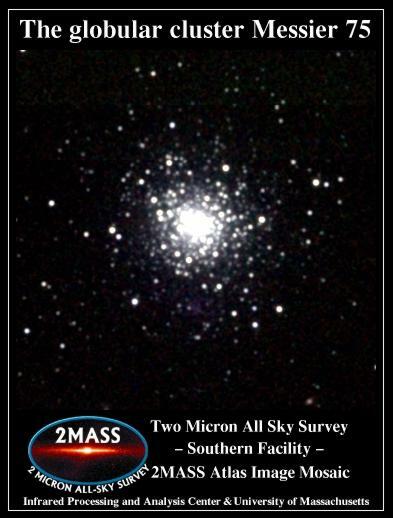 These infrared images have been obtained by 2MASS: The Two Micron All Sky Survey, a joint project of the University of Massachusetts in Amherst (UMASS) and the Infrared Processing and Analysis Center (IPAC) at Caltech. 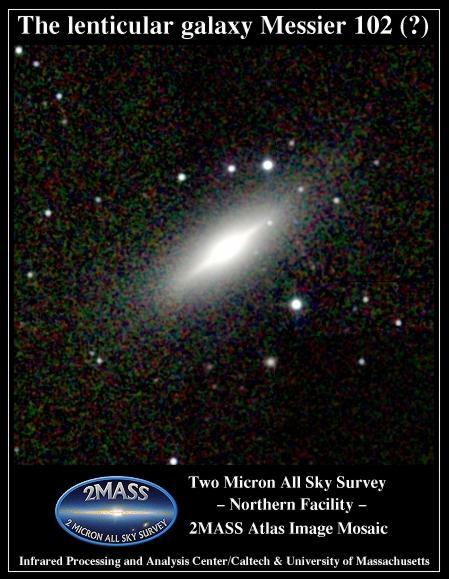 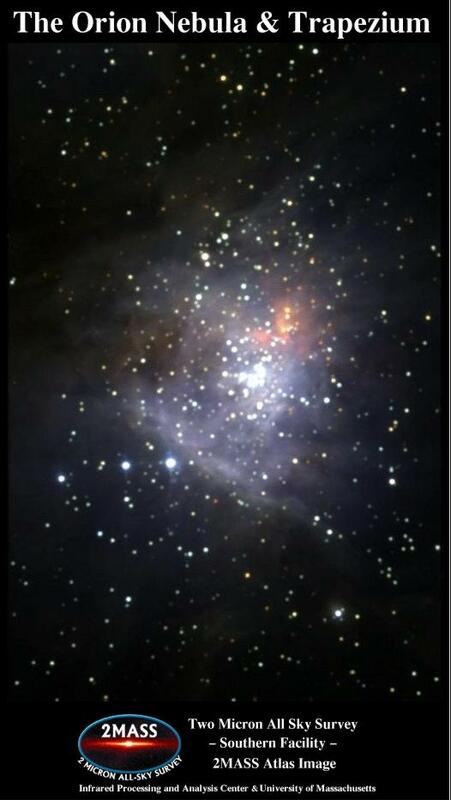 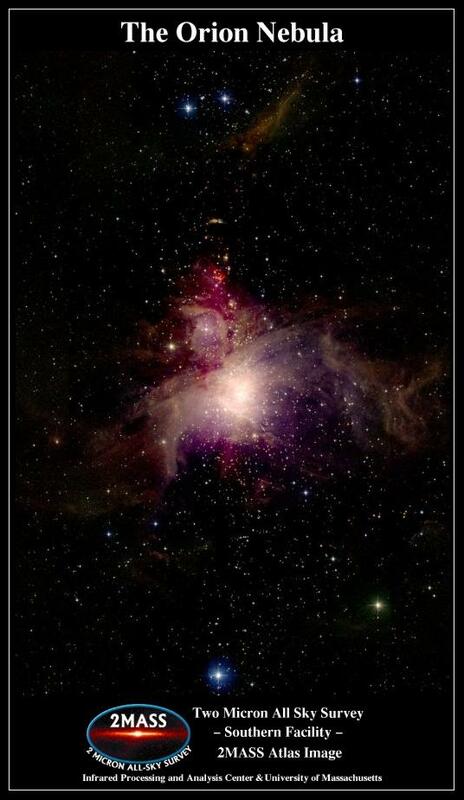 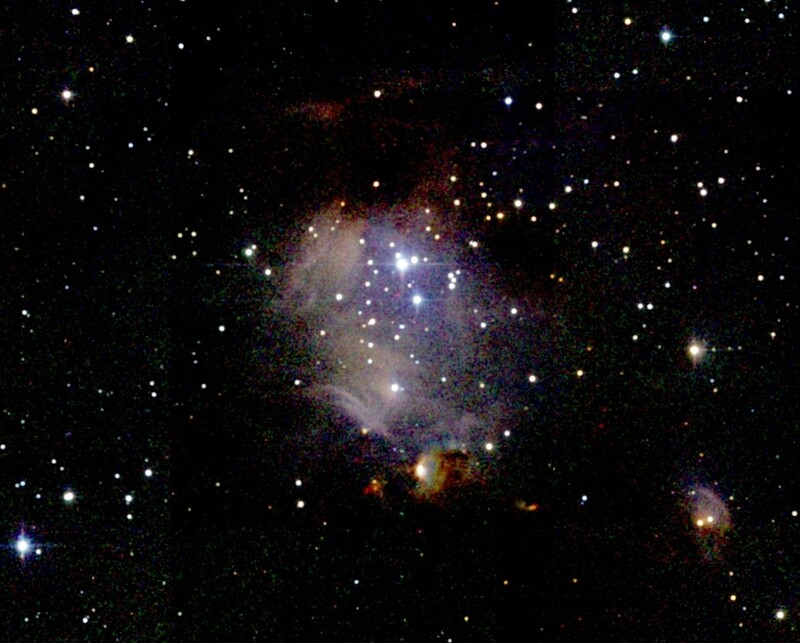 It consists of two IR telescopes: the Northern 2MASS Telescope, a 1.3-m classical Cassegrain on Mt. 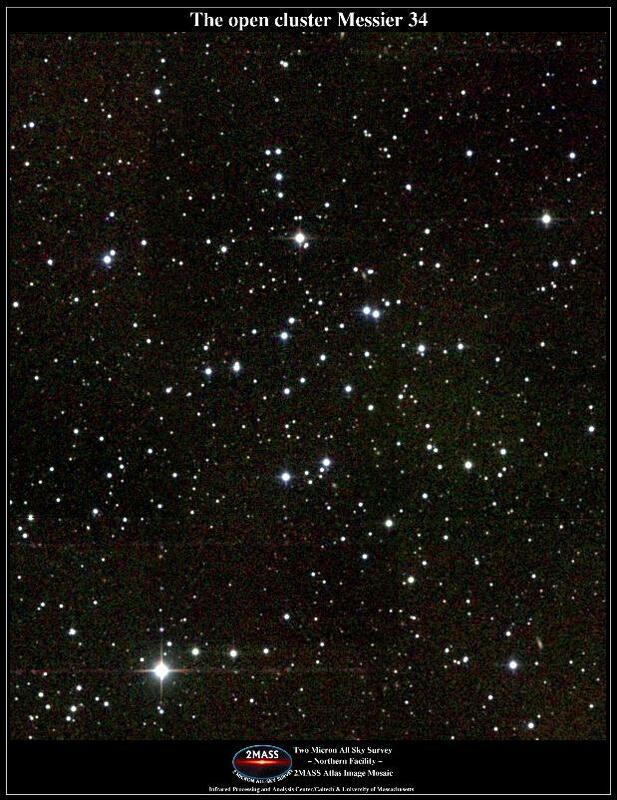 Hopkins near Tucson, Arizona and the Southern 2MASS Telescope on Cerro Tololo (near CTIO). 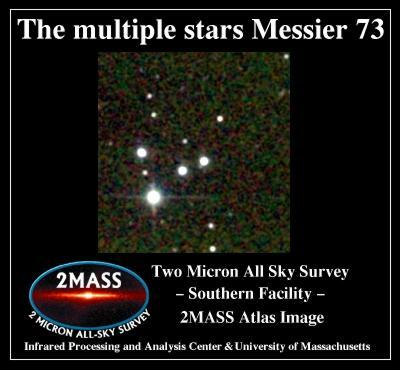 Unless in special cases, the images here are 2MASS Atlas representations. 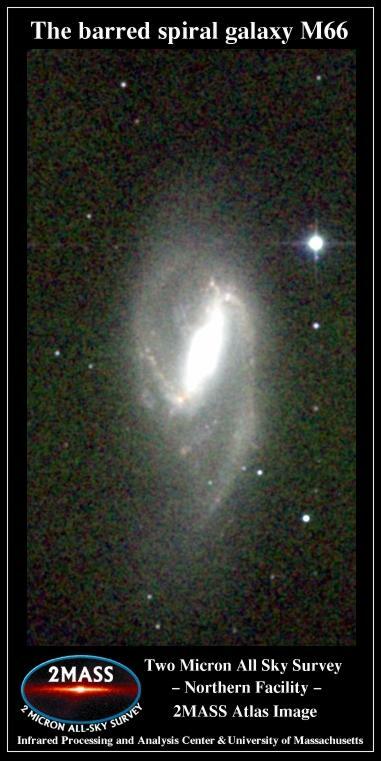 As IR is invisible, these are all false-color IR images. 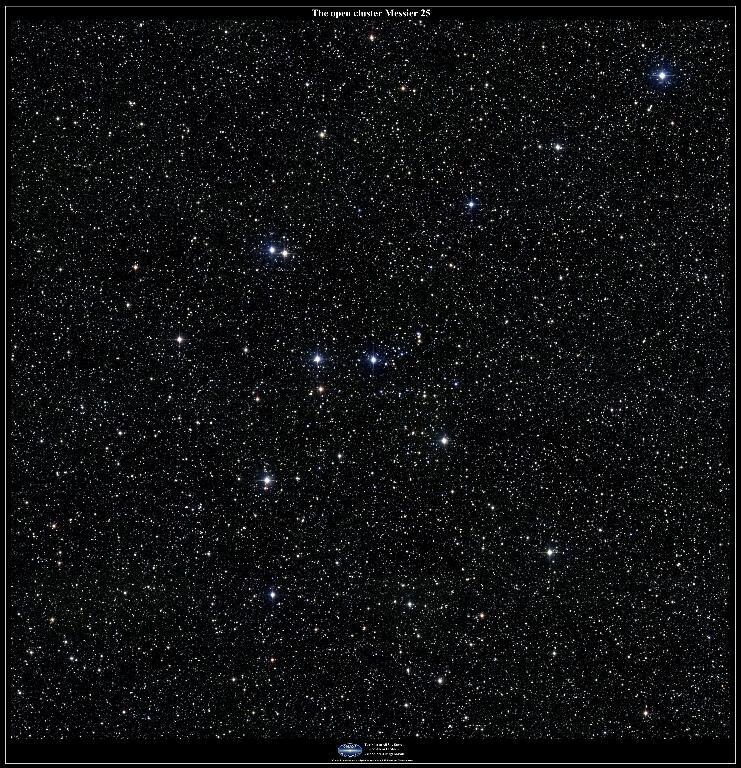 The atlas representations are coded into visible colors by mapping 3 IR wavelength bands into colors: J light (1.2 micron) into blue, H light (1.6 micron) in green, and Ks light (2.2 micron) into red. 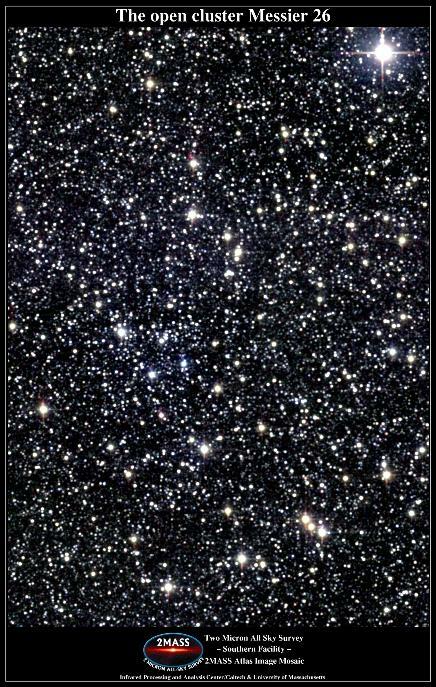 Thus, blueish colored objects are brightest at shortest wavelengths (closest or "nearest" to visible, "warmest" or "hottest"), grey or white objects are about equally bright throughout this part of the IR spectrum, and brown or red objects are brighter to the cooler, longer-wavelength ("farther" IR) part of the spectrum. 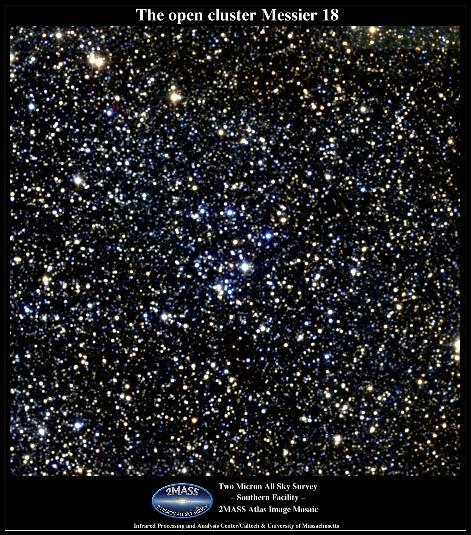 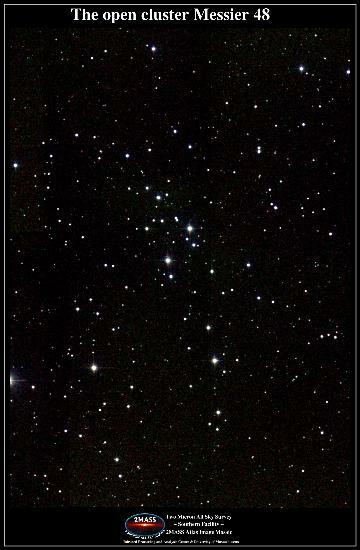 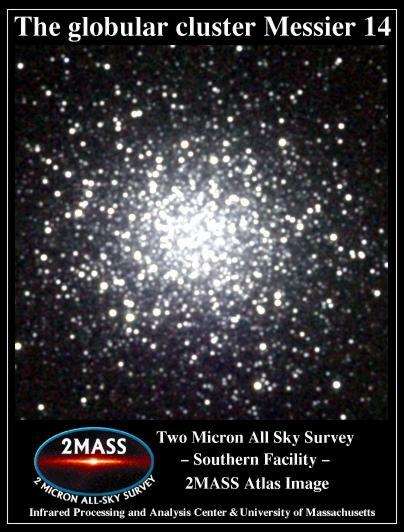 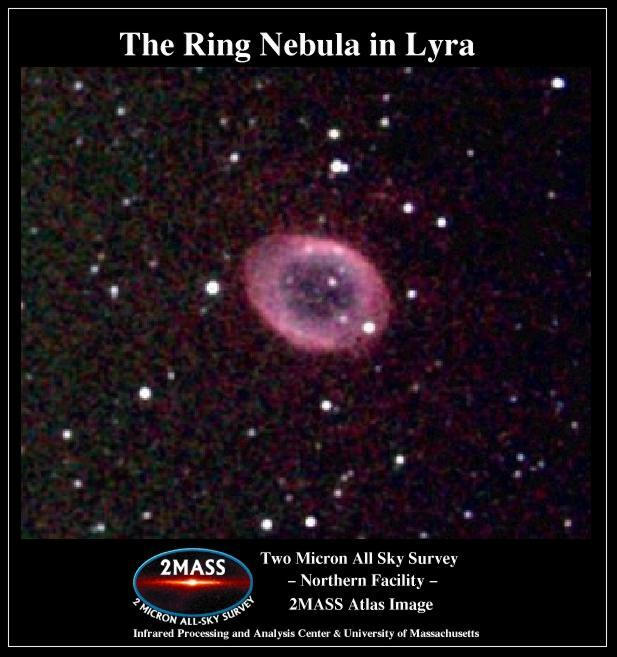 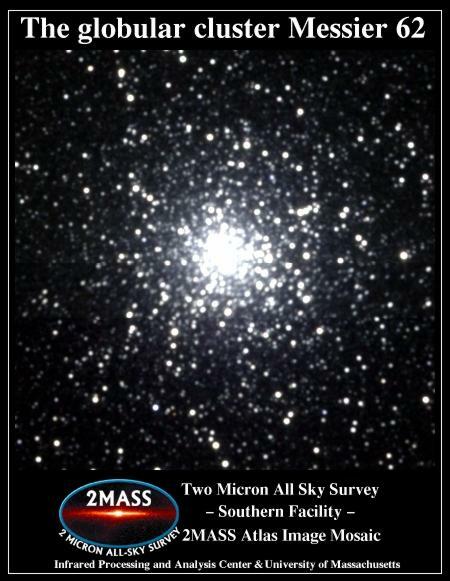 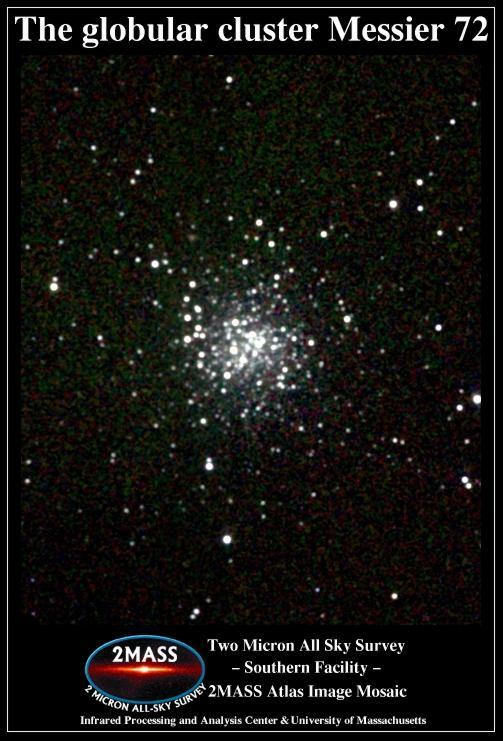 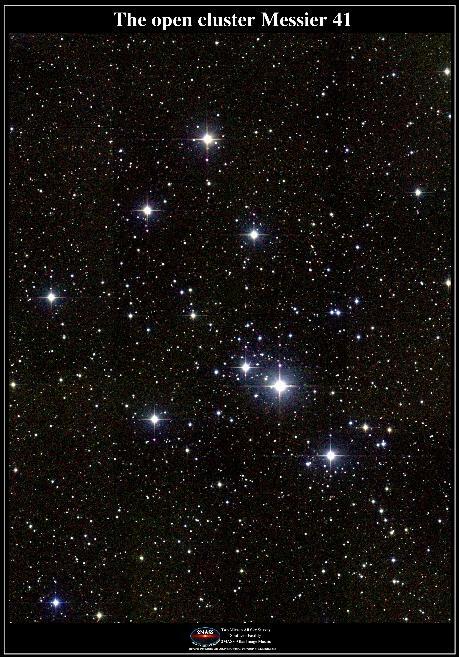 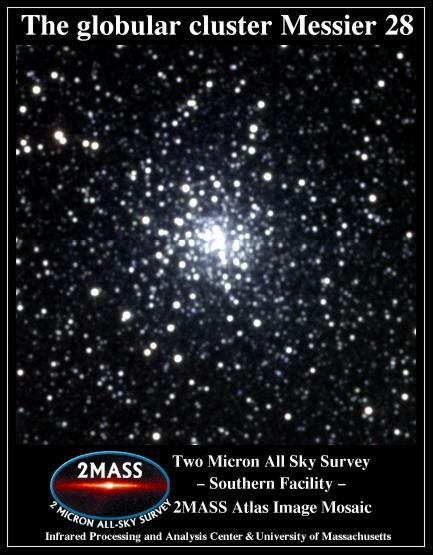 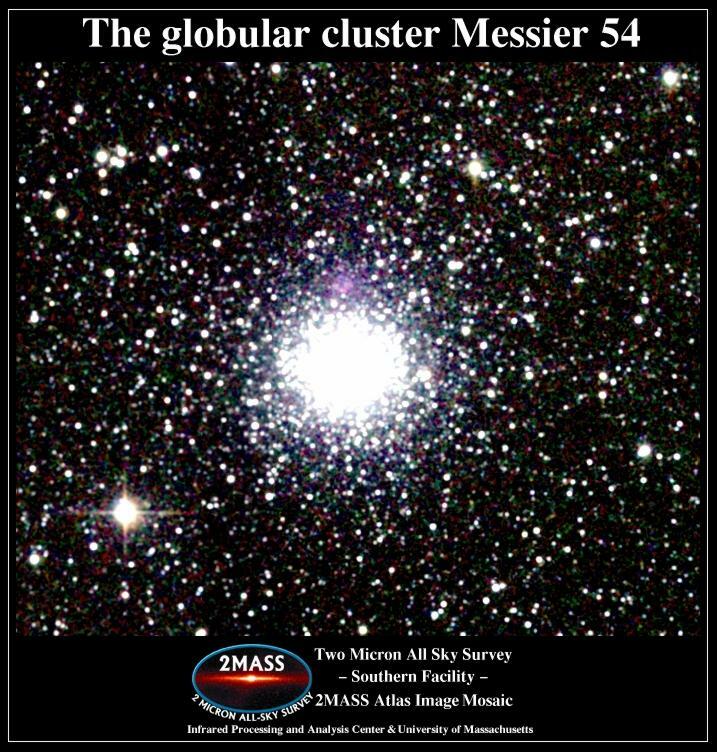 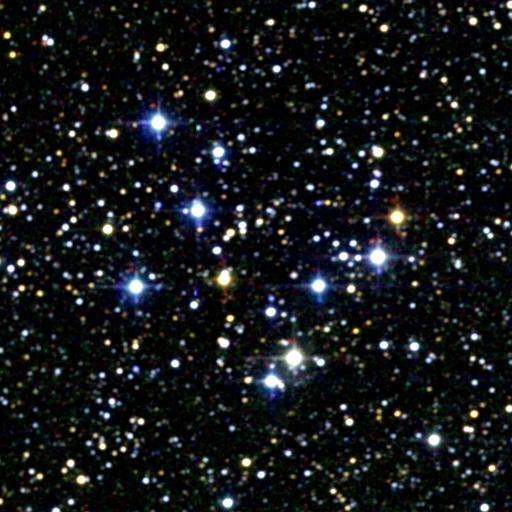 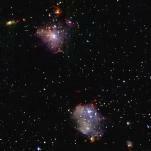 2MASS also provides an extensive image gallery, including 2MASSier - the 2MASS Messier Catalog Gallery.